ApprAZe.com, with full time Information Technology and Appraisal staff, is a technologically adept, operationally advanced Arizona-based real estate appraisal service firm, designed to meet the valuation challenges of the Global Economy. This mission recognizes our place in the lending, relocation, legal and pubic communities. Our proven solutions are driven by a desire to understand and solve client problems. ApprAZe.com focuses its strengths, as YOUR Service Partner, to solve YOUR problem. In addition to the Instructor Qualifications, Mr. Harper is a SRA designat ed member of the Appraisal Institute and has served his local chapter in the numerous capacities including, but not limited to: President, Vice President, Secretary, Treasurer, Director on the Board of Directors, Regional Representative, Young Advisory Council Representative in Washington D.C., Education Committee Chair, Ethics & Counseling Committee Chair. 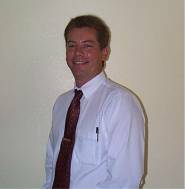 Mr. Harper is a Broker/Realtor Member of the 6 Realtor Associations and numerous Mortgage and Professional Associations. Follow the List of Qualifications link. Mr. Harper has been: a real property appraiser since 1983; an SRA since 1990; Arizona Certified General Real Estate Appraiser 30386 since Arizona licensing/certification laws were adopted; an FHA CHUMS Appraiser since 1991; is currently a Review Appraiser for HUD-insured mortgages, titled as: Appraisal Quality Assessment Agent, and is currently on HUD’s FHA Roster Appraiser # AZ 30386. Mr. Harper produced the Arizona State Board of Appraisal Continuing Education Approved and Department of Real Estate Approved (7 hours) seminar and accompanying 320 page text. 1995-Current Achieved Approval on over 400 Mortgage Banker lists. 1991-Current CERTIFIED GENERAL REAL ESTATE APPRAISER 30386; State Certification for any Commercial, Residential, Multi-Family, Land, Subdivisions, Restricted Highest & Best Use. 1994-Current HUD/FHA Lender Select Roster, Tucson Region IX; all property types (203k, 203b, 223e, manufactured homes, etc.). 1983-1988 Residential Appraiser Pima Savings & Loan; 4801 E. Broadway Blvd, Tucson.